SKU: VRPR6. Category: Pedestrian Handrail. Keeping personnel safe and reducing lost-time accidents in your facility is a primary concern. In high-traffic areas, a strip of yellow tape along the floor simply won’t do. 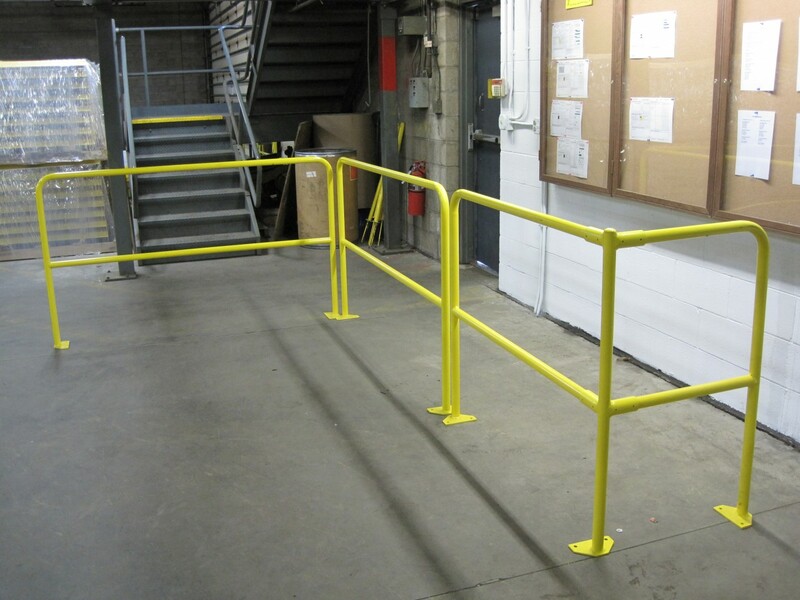 The ideal solution is ValueRail™ Pedestrian Handrail – designed specifically to separate work zones, control traffic flow, and clearly define walkways around equipment, machinery, material staging areas, in-plant offices, doorways, and many other ground-level applications. 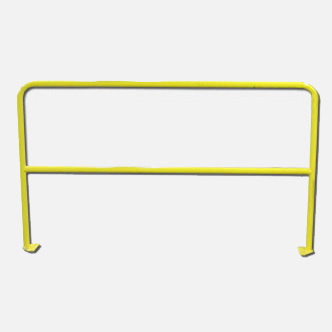 ValueRail™ Pedestrian Handrails are available from stock in 6 ft sections and include a unique baseplate design that ensures installation flexibility. 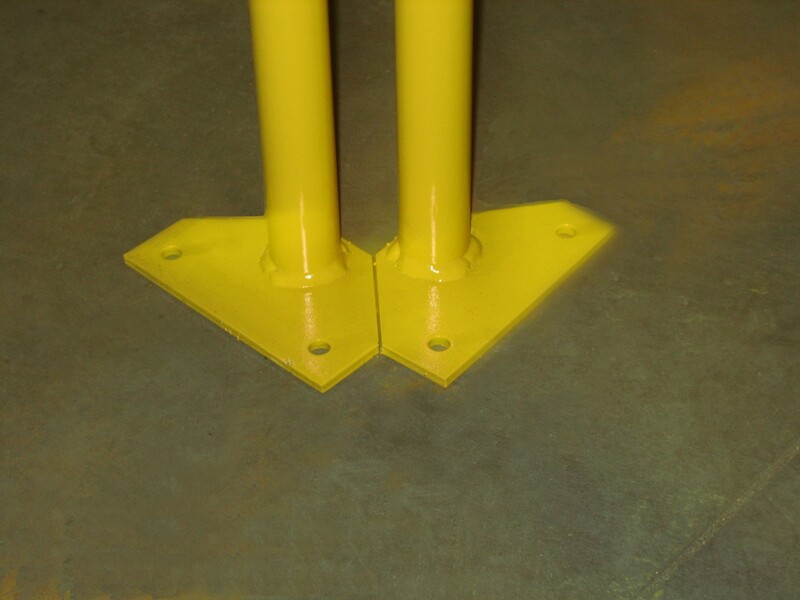 Each railing section mounts straight to the surface using four 3/8″ anchors (not included) and can be easily positioned to provide close corners and railing intersections to meet your facility requirements. 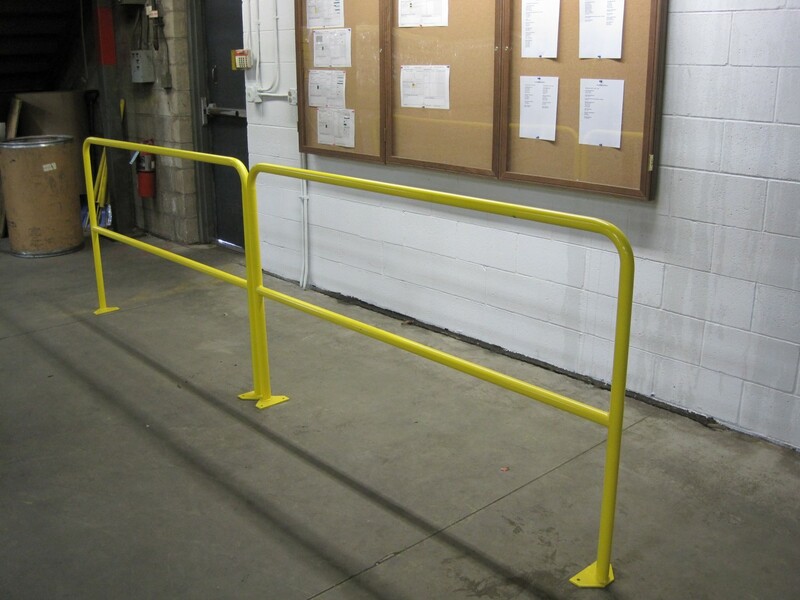 *ValueRail™ Pedestrian Handrails have been designed specifically for ground level installation and are not for use at elevated floor edges, rooftops, platforms, loading docks, or mezzanines.